Fremantle Football Club engaged Discus to design a customised media wall solution at the club’s new Cockburn facility. Located in the club’s multipurpose auditorium, a media wall was needed at times of hosting press conferences. We created a high quality retractable media blind operating from an automated system. Printing the 6 x 2 banner in once piece, we selected a high-quality fabric appropriate for the system. We commissioned Bozzy Blinds to install the automated roller blind technology. 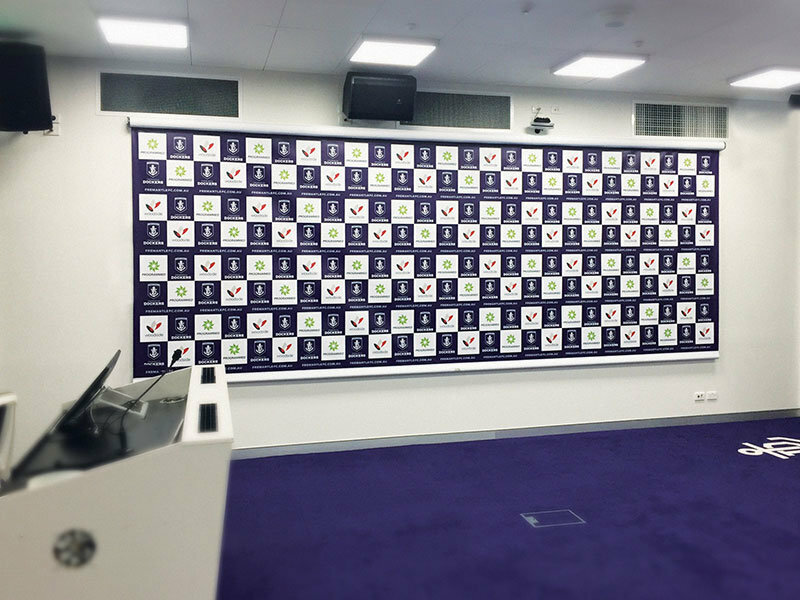 The customised solution has provided Fremantle Football Club with a high quality, professional media wall that can retract when not in use.